Use Design Feed for mark-up and collaboration. The workflow videos on what you can accomplish with this free mobile app are detailed on Autodesk’s website. If you are running AutoCAD Electrical 2015 then you are all set to go. 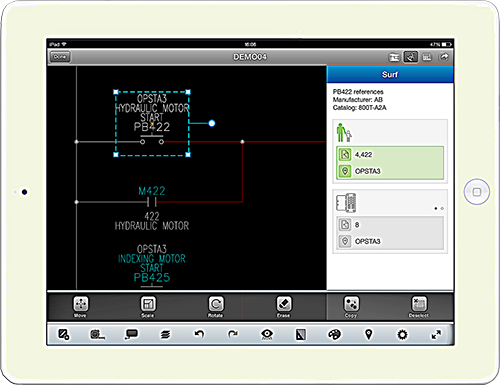 AutoCAD Electrical 2013 and AutoCAD Electrical 2014 Subscription Customers can download a plugin from the Autodesk exchange app store to share their projects with the mobile app.